For great Miami cruise port hotel deals, contact Quality Inn & Suites to get great deals during your vacation stay. 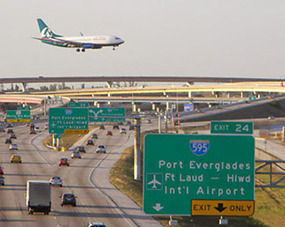 We also offer low-cost shuttle services to cruise ports or any destination in South Florida. We offer such in-room amenities as FREE WI-FI, cable/satellite, refrigerator, microwave, coffee maker, plush sheets and pillows, iron and ironing board, hair dryer, and a safe in each room. Contact us today at 877-981-1800 to learn more! Quality Inn & Suites on Hollywood Boulevard specializes in hotel cruise deals for any guest who wishes to go on a cruise. 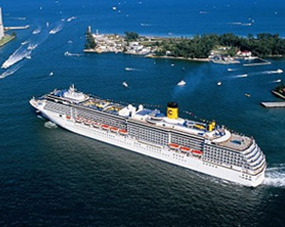 We are also located near cruise ports so you can make your cruise on time. We offer such hotel amenities as FREE hot and cold continental breakfast, guest laundry, business center, outdoor heated pool, sundry shop, and FREE 24-hour coffee. We're also a pet-friendly hotel and eco-friendly! 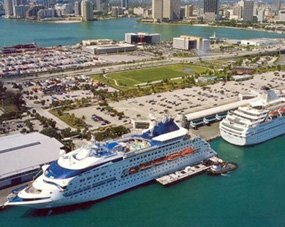 When it comes to Miami cruise port hotel deals, we're among the best in the area that caters to the needs of cruise-goers. Before going on your cruise, enjoy our beautiful grounds, particularly our fountain area. 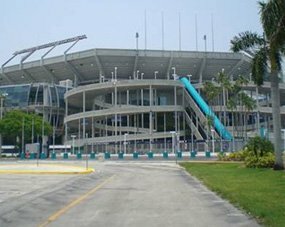 Our Miami cruise port hotel deals will make your cruise experience more enjoyable as you have more money to spend elsewhere during your vacation. We offer free parking, and we cater to those with disabilities. We make your vacation experience extra special!